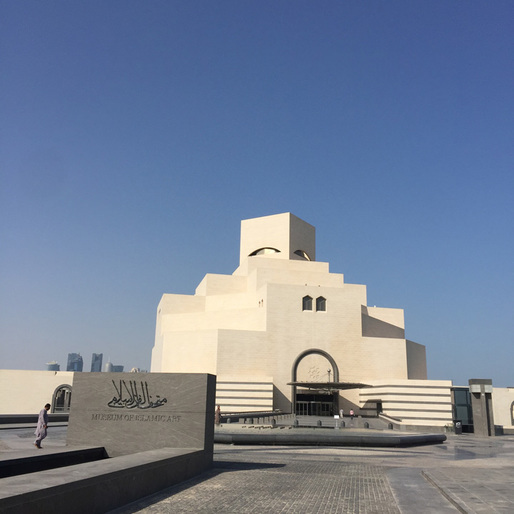 Over the holidays, I embarked on a three week trip with my sisters that took us to Qatar, Oman and Sri Lanka. The next few posts will cover the architecture, culture and highlights of the trip. 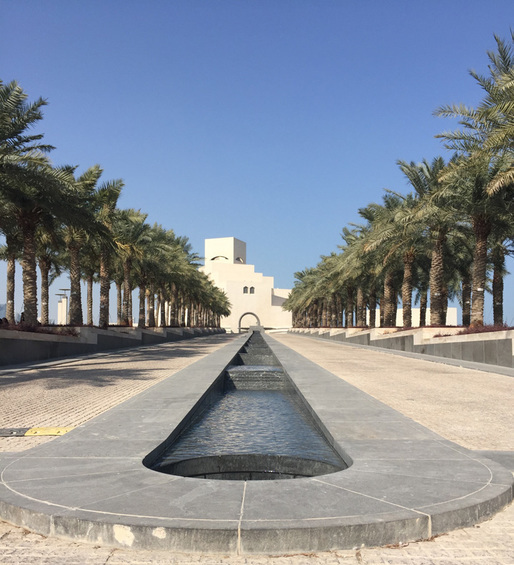 Our first stop in Doha, Qatar was actually a strategically planned full day layover on the way from New York City to Oman. We landed in the city of Doha at 7 am and our connecting flight departed at 7 pm. 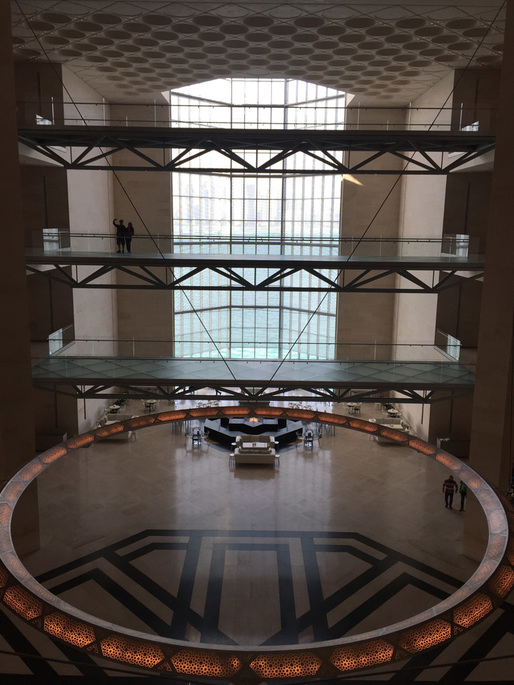 In the few hours we had, we did a brief tasting menu of the various sites Doha had to offer. 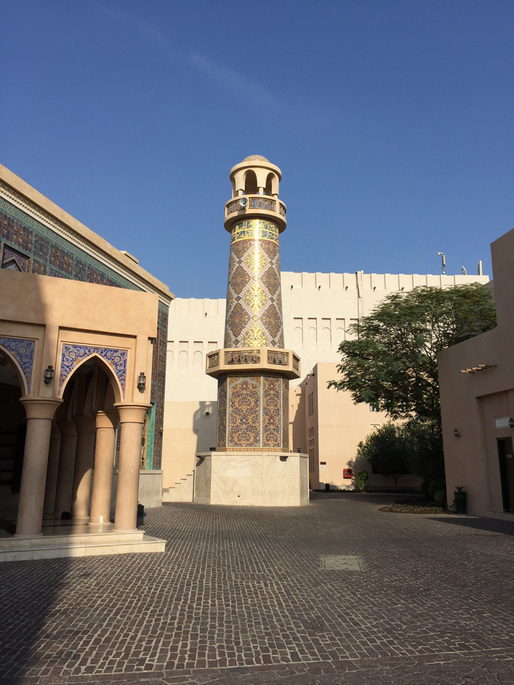 This allowed us to take advantage of Qatar Airline’s free Doha City Tour. Tourists with layovers are given the option of either a free day visa allowing tourists access to the city with the tour group ONLY or a $27 visa allowing passengers to explore the city on their own. 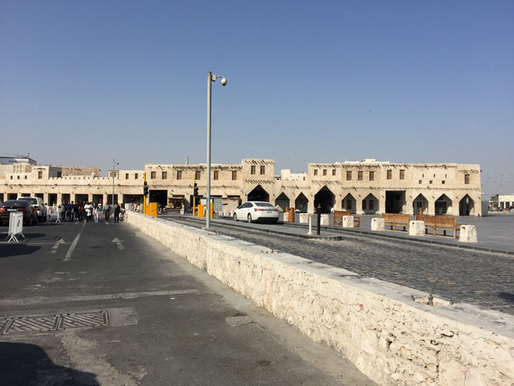 The tour lasts about two and a half hours on a large bus and stops at the Dhow Harbor, Katara Cultural Centre, the Pearl-Qatar, and Souq Waqif. 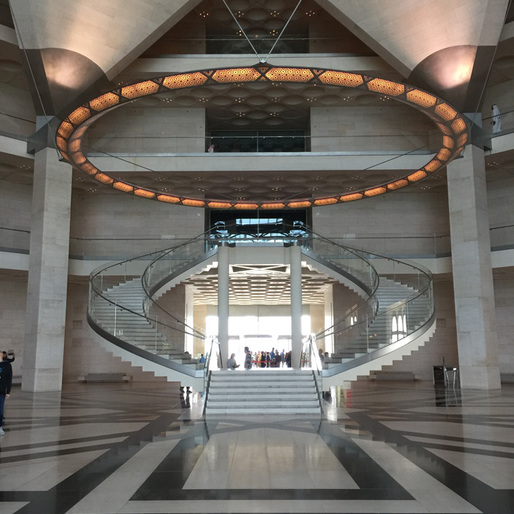 We opted to purchase a day visa so we could extend our stay in the city beyond the tour and visit the Museum of Islamic Art designed by Architect I.M. Pei. 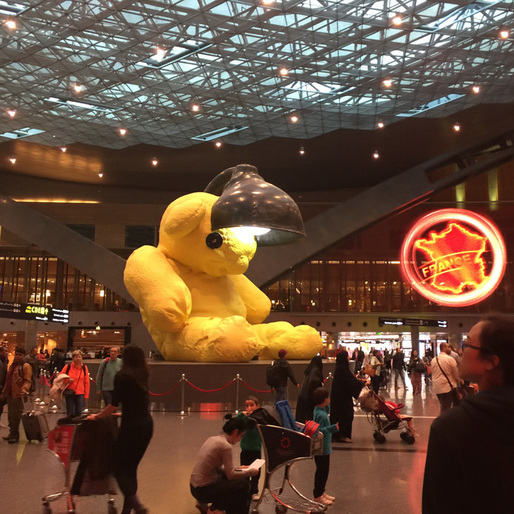 Lamp Bear by Swiss artist Urs Fischer is a 23-foot canary yellow teddy bear sculpted from bronze. 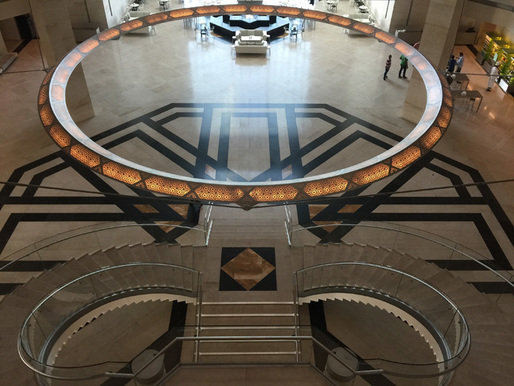 The Qatar Museum and the Hamad International Airport (HIA) commissioned sculptures by high profiled international artists such as Tom Claassen, Tom Otterness, Rudolf Stingel and Urs Fischer. Doha, was founded around 1820’s as a small fishing and pearling village. The country remained relatively poor in the region until the discovery of oil in 1939. The first production and export in 1949 transformed Doha into one of the wealthiest cities in the region. In 1971, Qatar announced its independence from the English Protectorate and Doha was named as the official capital city. 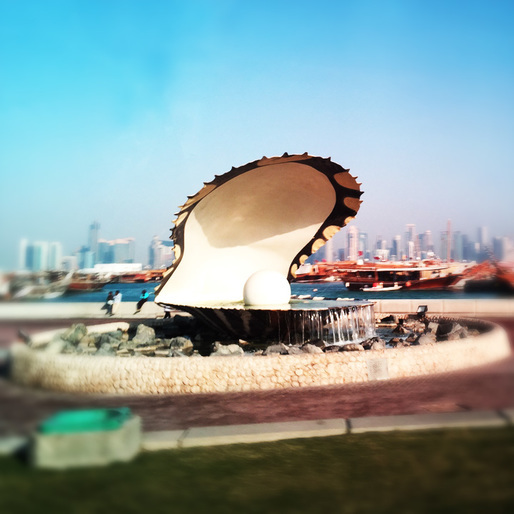 The Pearl Monument in Corniche stands as a testament to the once flourishing pearl trade. 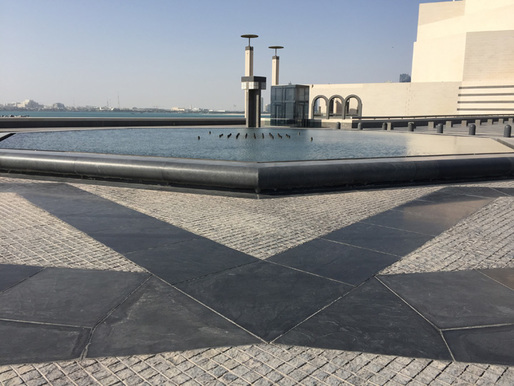 The Katara Cultural Center is a cultural village with various traditional and modern structures such as an open amphitheater, an opera house, a multi-purpose cinema, a multi-purpose conference hall, a beach, and a souq (market place). 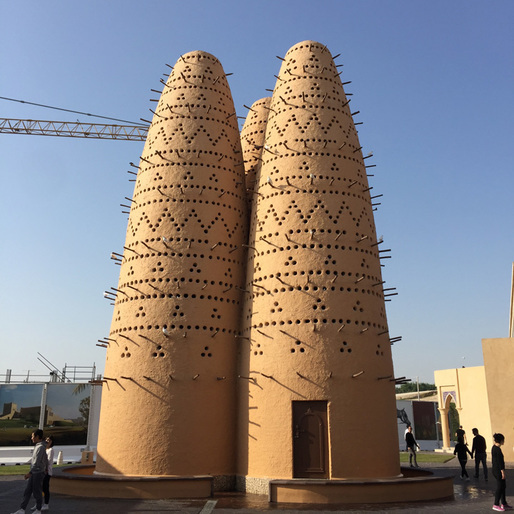 Pigeon Tower at Katara Cultural Center. 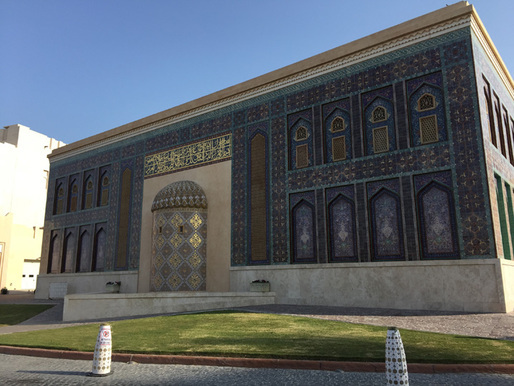 Traditional mosque at Katara Cultural Center. 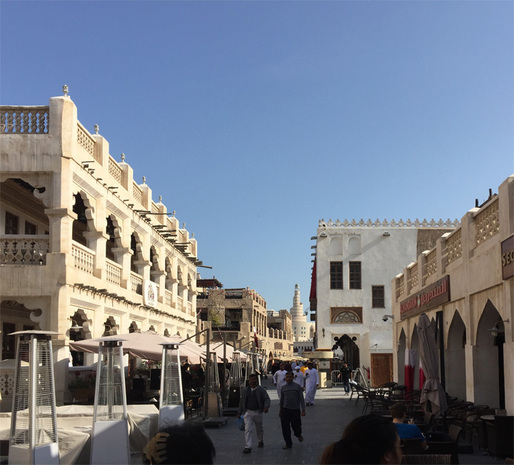 The Doha City Tour ended at the Souq Waqif, one of the existing active souks (market places) in the region. Traditionally the Souq Waqif served the Bedouins of the Arabian and Syrian Deserts. 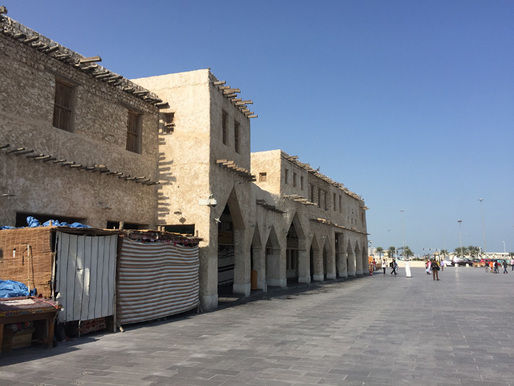 In 2004, the souq was renovated and restored according to the traditional Qatari architectural techniques. Buildings constructed after 1950 were demolished and buildings built before 1950's were restored. We remained at the souk and had lunch and coffee to keep us fueled. 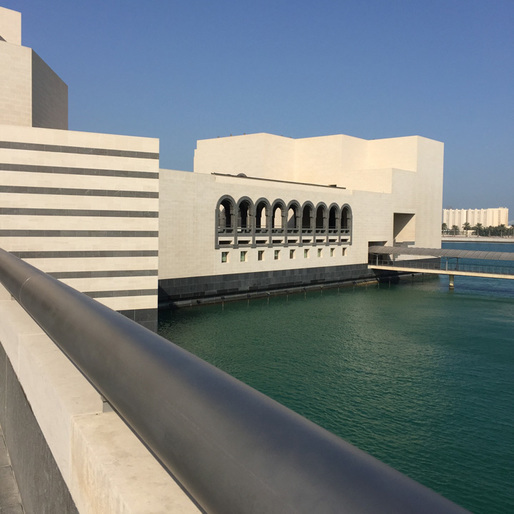 The souq was only a 15 minute walk to the Museum of Islamic Art. 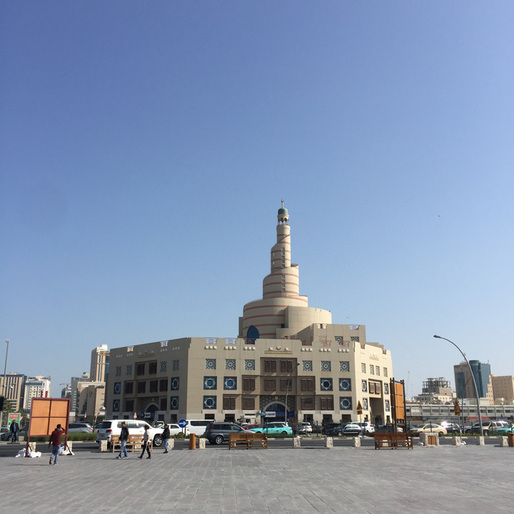 Al Fanar Islamic Cultural Center is the largest mosque in Qatar with an iconic spiral minaret. 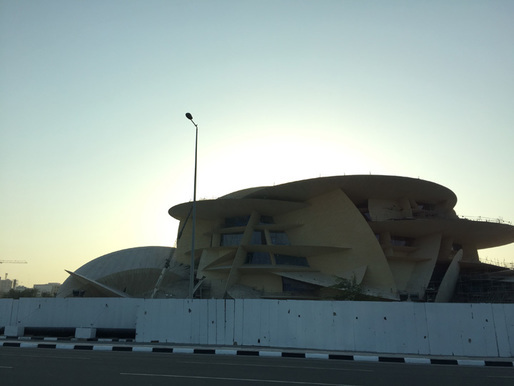 A sneak peak at the The Qatar National Museum designed by Architect Jean Nouvel still under construction. 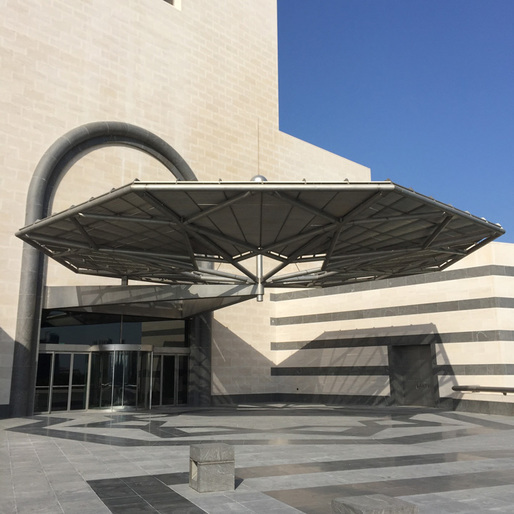 The Museum of Islamic Art was officially open in November 22, 2008. 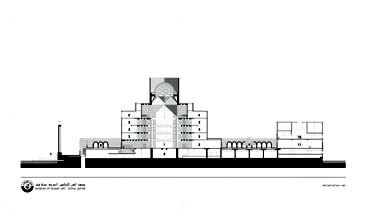 Architect I.M. 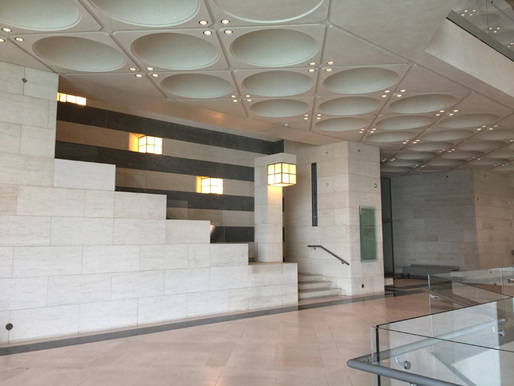 Pei was coaxed out of retirement to design the museum. 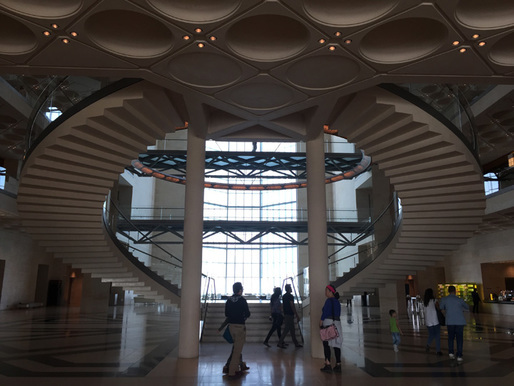 He embarked on a six-month quest throughout the Muslim world to study the diversity of Islamic architecture in order to inspire his design. He visited sites such as the Grand Mosque in Córdoba, Spain; Fatehpur Sikri, a Mughal capital in India; the Umayyad Great Mosque in Damascus, Syria; and the ribat fortresses at Monastir and Sousse in Tunisia. His final design inspiration was the 13th-century sabil (ablutions fountain) of the Mosque of Ahmad Ibn Tulun in Cairo, Egypt (9th century). 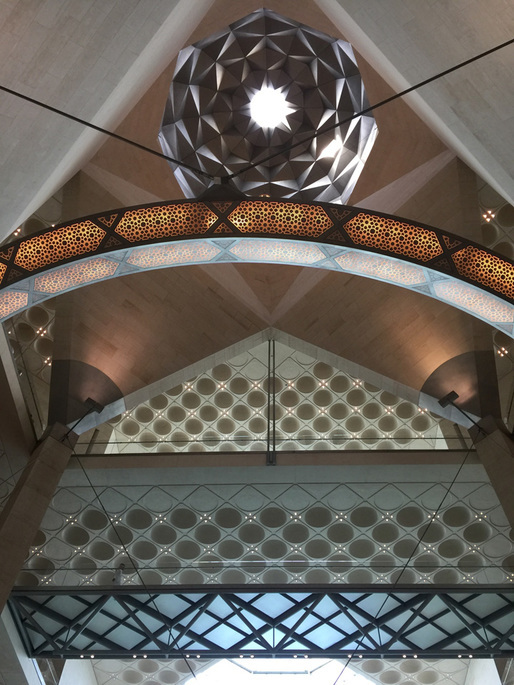 The intense visceral experience of the austere and simple architecture of the mosque struck Mr. Pei. 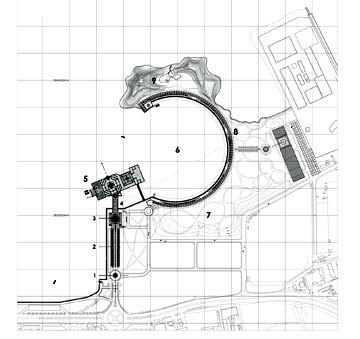 Mr. Pei suggested the current site of a peninsula off the Doha Corniche. 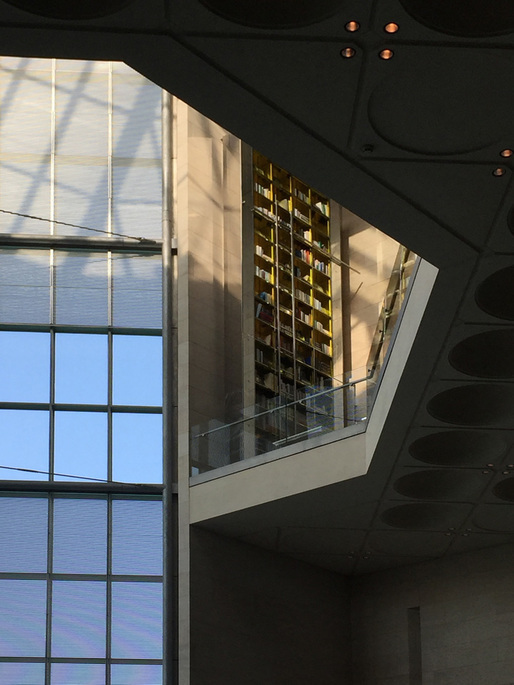 The center dome atrium rises 164 feet high. It is concealed from the exterior by the central tower walls. An oculus captures light within the geometric patterned dome. 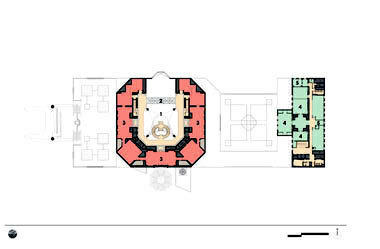 The plan of the museum is a simple geometry surrounding an open atrium. 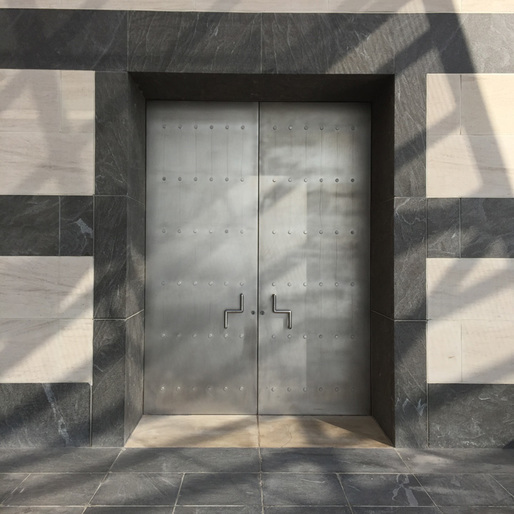 The plan itself is etched into metal plates that are integrated into the door frame of each exhibition room. 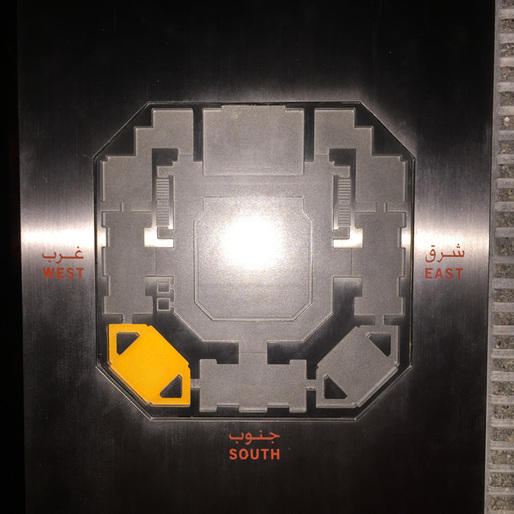 Circulation on each floor is continuous. 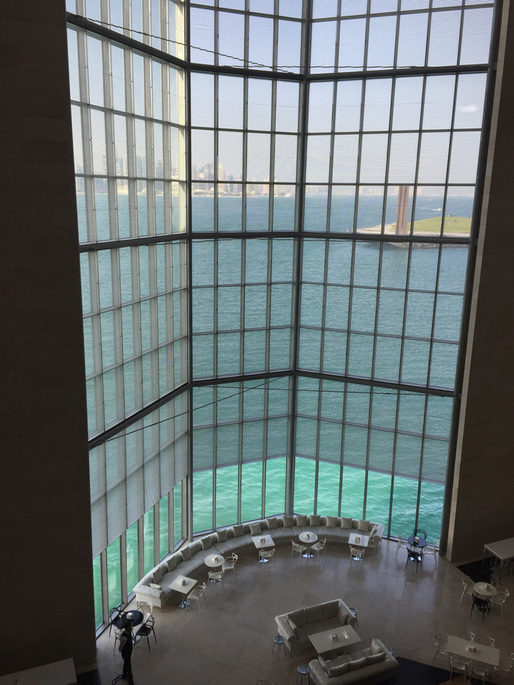 The glass curtain walls face the Gulf and West Bay area of Doha and frame the city skyline. 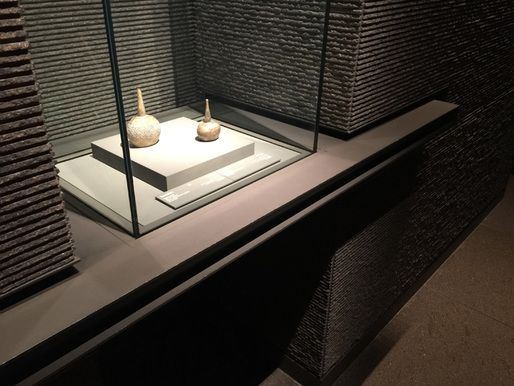 The museum exhibits art and artifacts spanning three continents from the 7th to the 19th century. The delicate exhibitions, designed by Jean-Michel Wilmotte, are carefully integrated into the architecture and presented in specially designed encasement and lighting. Astronomical and Mathematical Instrument. 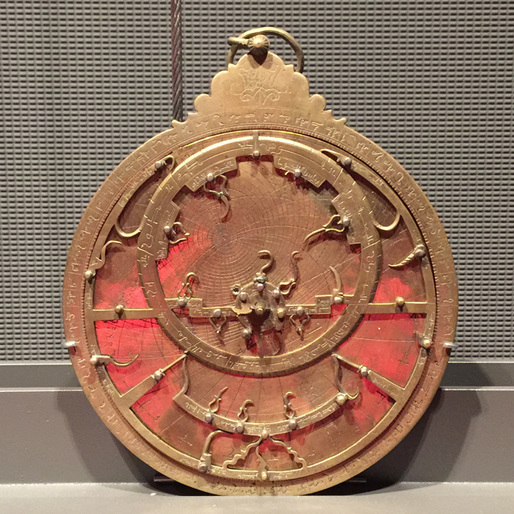 Gilded Brass Planispheric Astrolabe. 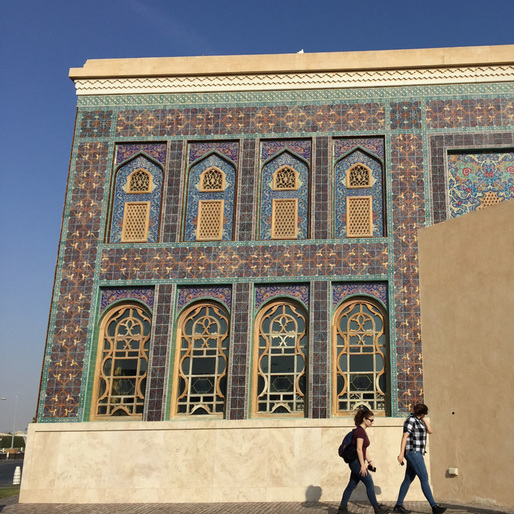 At the end of the day, we called an Uber using the museum WiFi to the airport to catch our flight to Muscat, Oman. 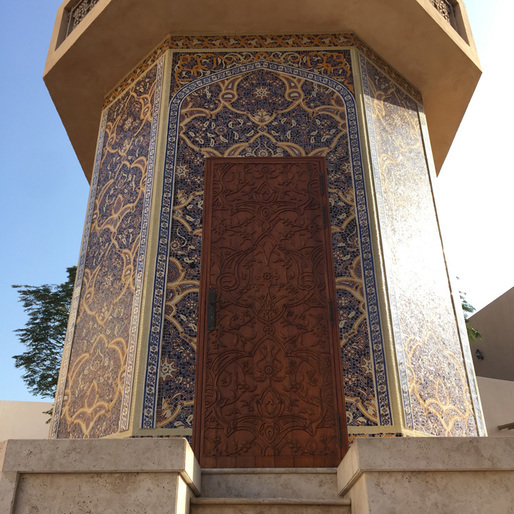 Thus ended the short, yet incredibly unique taste of Doha.